After the holidays while the days are short and the nights and the weather stays cold, it can be the perfect storm this time of year for a number of us to feel hopeless and sad. I have had my share of seasonal affect disorder in the past which I manage pretty good most of the time, I can keep chugging along with my self care, love and support from family and friends and my arts and crafts. However, for many of us, our condition can be much more serious and in need of good psychological and psychiatric care. I want to share some of these foods with you and ways to incorporate more of them in your daily routine. There is a lot of good reading on food and mood, I hope that you find these ideas helpful and delicious whether you are feeling blue or already feeling pretty good. What Food is Healthy for Your Brain? Foods that have anti inflammatory properties help keep your brain feeling it’s best. What is meant by anti inflammatory foods? Inflammation can be a good thing and happens in our body when our immune system helps fight off something foreign in our body or help heal us. But if our immune system goes into overdrive and we can get into a constant state inflammation this can start to cause harm. What Foods Are Not Good for Brain Health? Foods that cause inflammation are not good for the brain and also have been linked to other chronic health conditions. These include refined carbohydrates and sugar, foods high in trans and hydrogenated fats and other processed foods. Here is a blog posts that I wrote on inflammation. Here is a tasty way to get lots of brain healthy nutrition in your day with my recipe below. I hope that you love it as much as me and my family! This salmon recipe is so flavorful and colorful! I look forward to making and eating it again! I love the flavor of the pistachio nuts and salmon together. The added flavor of orange makes this dish so delicious! The colors, textures and flavors are just a ray of sunshine and will be sure to lift your spirits! This would be delicious on a bed of greens to include more brain food also! Preheat oven to 400 degrees. In a food processor, crush pistachios in large pieces, on a plate mix pistachios, with panko crumbs, salt and pepper. Cut the half pound salmon into 4 pieces. Brush the bottom of baking sheet with olive oil or cover with parchment paper. In a bowl, beat the egg and dip one side of the fish in the bowl. Place the egg washed side of the fish into the nut and bread mixture. Place the fish on the baking sheet with crumb side up. Drizzle the fish with about 1 teaspoon of olive oil over each piece. Place fish in the oven and bake about 15 minutes or until the crust is slightly brown and crunchy and the fish flakes with a fork. While the fish is baking make the orange sauce (see recipe below). 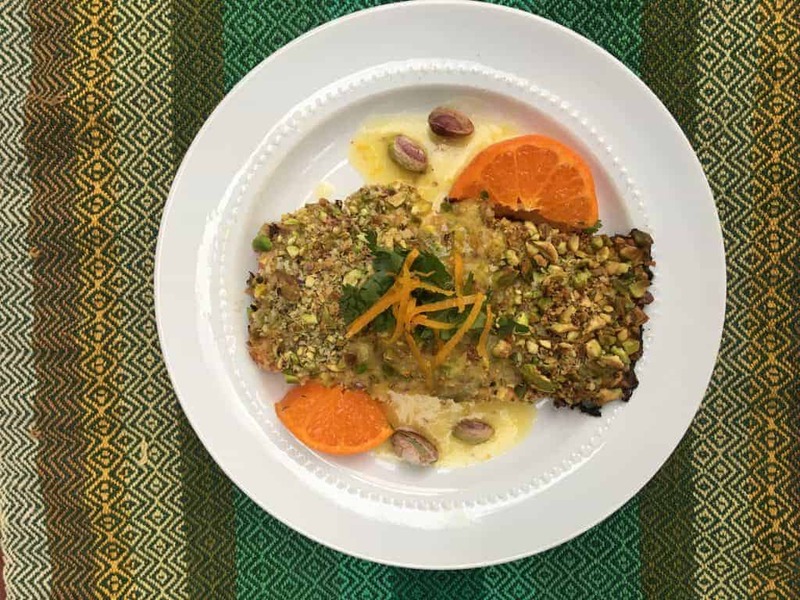 After the fish is done, drizzle it with a little orange sauce and garnish with shopped cilantro, pistachios and orange slices. Use juice one mandarin orange (cut the other one in slices for garnish). In a small saucepan, add freshly squeezed orange juice and coriander. Mix cold broth with cornstarch and stir well and slowly add it to the juice mixture. Heat on low temperature and slowly thicken. 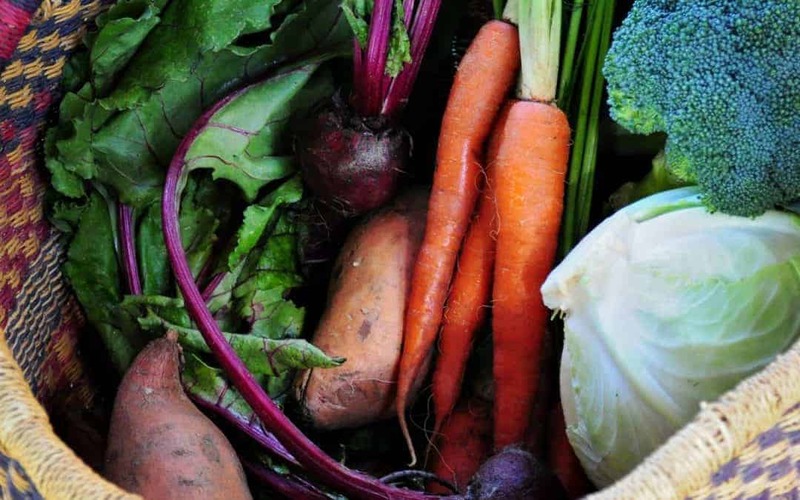 Now is the time to turn towards healthy eating habits while the weather is not at it’s best. And when it is beautiful and sunny outside, you can get out and enjoy it! What you eat can make a difference in how you feel and that includes your brain. I look forward to sharing more on ways to keep your brain healthy and other ways to feel your best! Thanks for sharing the recipe. I love salmon and ive been eating it ever since i get into keto diet. i’ll add this on my meal plan thanks a lot. Thank you Jimmy! Hope that you enjoy this recipe!